The technology is here. It has been proven for nearly two decades. "There is nothing more demoralizing to a citizen eager to exercise their right to participate in the electoral process than to meet insurmountable obstacles - especially when those obstacles could have been prevented. This year’s election cycle has only just begun and several high profile errors and irregularities have already taken place. Just ask voters and officials in Arizona and New York. "As soon as significant voting problems arise, the call for answers and modern, long-term solutions intensifies. President Obama has even made the resolution of the sad state of the electoral process one of his targets before he leaves office. But if we continue to pretend that paper-based elections and fifty year old technologies like optical scan machines are the solution rather than a significant part of the problem we will extend this electoral crisis for another generation. Unlike in the year 2000 - the era of hanging chads and butterfly ballots - today we don’t have a fully seated Supreme Court to determine the winner or the Presidential election when broken voting machines lead to unclear results in November. "Today virtually all of the high integrity processes in the world are taking advantage of technological evolution. Advanced security protocol and the perpetually state of the art nature of Software-as-a-Service (SaaS) are the standard used by most government agencies to bring state of the art technologies to their mission-critical processes. But for elections – arguably the most important business process in the world – technological solutions haven’t caught up, until now. Our democracy no longer needs to hinge on the hope that technologies that were introduced last century, or even two centuries ago, will work. "Modern, secure, SaaS-based voting systems and electronic poll books that can move the needle on wait time, security and accuracy have been proven for nearly 20 years. They are now being certified for use in the late primaries and 2016 general elections in the United States. Antiquated, purpose-built voting machines and paper-based optical scanners on the verge of failure are not a solution. They are, in fact, a large part of the problem. Voting systems that use SaaS and commercial off the shelf (COTS) hardware improve accuracy, security and accessibility. They are now available. They cost a fraction of what the antiquated purpose-built hardware and manual error-prone paper-based alternatives cost. We all use tablets, smart phones and PCs in our daily lives. We can now benefit from using those advanced technologies on Election Day. 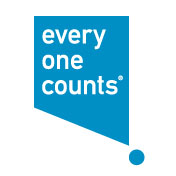 "Everyone Counts’ eLect® platform gives voters the freedom to use the same technologies they use in their every day lives to vote, whether in a polling place, from home or from Afghanistan: Electronic poll books use existing advances in software and mobile devices to reduce check-in time at the polls by over 50 percent. The poll worker can accurately check in voters on a secure tablet, or walk the line of voters with a secure mobile poll book to ensure voters are in the correct voting location. Voters that opt for “front-of-the-line” voting can digitally fill out their ballots at home, increasing accuracy, then check-in at their polling station in the Fast Pass® lane, and scan their pre-marked ballot to vote, by-passing long lines and reducing the wait time – just like an electronic boarding pass at the airport. Modern voting technologies drastically reduce the potential of human error and speed up the counting process to near real-time reporting of results. These solutions also provide increased accessibility to disabled voters, allowing them to vote privately and independently, with confidence that their ballot will be cast accurately. "Let’s stop complaining that the voting process is doomed to fail because we’re using old, failing machines. Let’s stop pretending that the integrity of voting requires 50 to 150 year old technology and process to protect it. The reality is that modern, proven, certified technologies can increase security, accuracy, convenience and accessibility in elections, while reducing cost and wait times for both voting and results. That is the reality of what is needed to protect the integrity of the voting process. The technology is here. It has been proven for nearly two decades. The time is now to ensure that everyone counts."